By Mike July 27, 2017 July 27, 2017 Press Release, Promote Yourself! Award-winning creative studio Luma teamed up with Director Jon Watts and VFX Supervisor Janek Sirrs to deliver stunning visual effects work for eleven sequences in Spider-Man: Homecoming, which is being praised as the best Spider-Man movie to date. Marvel’s fun new take on the friendliest superhero around features a standout villain that audiences can truly empathise with: the Vulture is a regular, street-level guy who turns to illegal activities to take care of his family. Luma worked on key sequences featuring the cunning Vulture, many of which required creating and animating an impressive and weighty CG Vulture wing-suit that goes toe-to-toe with a speedy Spider-Man. It was up to the Luma crew to create this epic landing scene, which required a full CG Vulture and landing platform with articulated arms. Luma used Vulture’s geometry from two other vendors on the show and incorporated that into their pipeline. “We were aiming to tie the suit and the warehouse into the same world to make it feel industrial and real, but also not as refined of a suit as Iron Man’s. The mood and contrasting raw metals of the wings helped bring Vulture’s suit into the same world as the set”, says CG Supervisor Andrew Zink. Animators then brought the domineering Vulture to life, which proved to be a complicated thing: he is a dynamic tank that hovers over the ground, his two turbines are controlled by exoskeleton arms which act as the sole propulsors, so the amount of RPMs and the angles in which they lean creates a push and pull effect. Animators also had to consider his unique wing shape, flight trajectory and predatory poses to perfect his flight and fast landing. A rookie Spider-Man discovers Vulture’s henchmen selling alien technology to a wanting criminal and chases after their van as he runs through backyards, unapologetically destroying everything in his path (the scene is a parody of the famous Ferris Bueller’s Day Off “The Race Home”). Vulture saves his henchmen as he violently swoops in and grabs Spider-Man in the same way a real vulture would grab its prey. He rapidly ascends into the sky travelling at a whopping 208 mph before dropping him into a lake. To create this completely virtual sequence, “animators began blocking with simplistic Google Maps photography and drone photography to work out the aesthetics of what the surroundings would look like”, recalled VFX Supervisor Kevin Souls. For Vulture’s character, animators tackled the challenge of animating the hefty wing-suit that, while also making sure it was dynamic enough to fight with a swift and speedy Spider-Man. “We like to ground our characters in real world physics, so our animators use a variety of Luma created tools to track speed, gravity and archs—it’s easier to bend the rules once you understand them,” explains Animation Supervisor Raphael A. Pimentel. 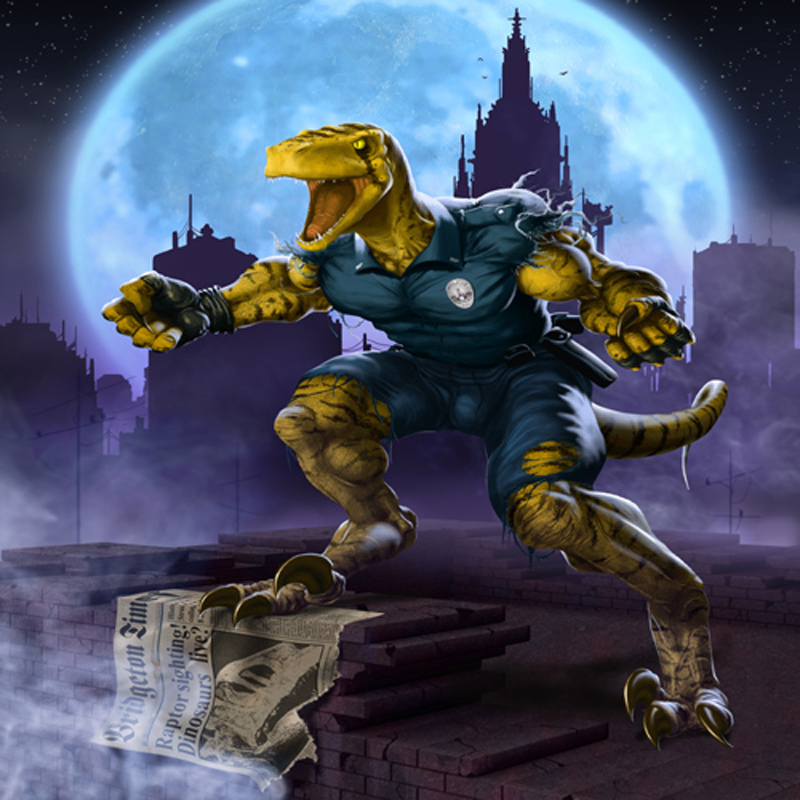 Luma worked on the first fight battle between Vulture and Spider-Man, where Spider-Man interrupts Vulture from stealing supplies from the Damage Control truck. Initially tasked with enhancing the sequence, Luma realized early on that it would be easier to recreate the sequence in full CG in order to add camera moves and to work with the portal (the alien technology that allows Vulture to travel through the roof of the truck). Since this was a close-up and constrained fight, animators had to ensure that Spider-Man looked weighty and in control, while also ensuring that the Vulture build was dynamic enough to fight with him. Luma didn’t just create a stunning villain for Spider-Man: Homecoming, the studio’s varied scope of work in this action-packed blockbuster also included creating and animating a full CG Spider-Man for various sequences, the disintegration effect on Bryce’s character, the ATM sequence, and the Crime Fighting sequence where a rookie Spider-Man head outs into the city attempting to stop petty crime. “This is definitely the proudest I’ve been of the crew that I work with. The passion and hard work they put into this film really shows the kind of talented people we have at Luma and how much care about the artistry of their work they have”, says VFX Supervisor Brendan Seals. Luma is currently working on Marvel’s Black Panther, Thor: Ragnarok and Disney’s A Wrinkle in Time. By Mike May 5, 2017 May 5, 2017 Kickstarter, Promote Yourself! In Sequence is a new animated film from Brooklyn based artist George de Moura. The animation is executed in a fairly wonky style reminiscent of artists such as Mike Judge, Priit Parn, and Igor Kovalyov but at times utilizes a form of rotoscoping to increase the realism of the character movements and pacing. The film is part way through a crowdfunding campaign to help cover the expenses to complete the film. Professional actors will be used in the creation of the footage and audio that will be used as the foundation of the project. I hope that you can help make this project come to life by contributing or sharing through your networks. By Mike March 6, 2017 March 6, 2017 Promote Yourself! Last week for your rating!!! There’s only one more week for your decision about the AninetFest’s Audience award! The festival ends 12th of March 2017. By Mike January 9, 2017 January 9, 2017 News, Press Release, Promote Yourself! Santa Monica, Calif., – January 9, 2017 —The “Ghost in the Shell” franchise has been entertaining audiences for more than 25 years and this February, Lionsgate and Funimation Films are partnering together to bring the 1995, groundbreaking anime film back to theaters for a two-day limited theatrical engagement. The original “Ghost in the Shell” movie from acclaimed director Mamoru Oshii, will return to the big screen on February 7 – 8, 2017 in 110 theaters across the United States. Moviegoers will be able to enjoy both the original Japanese version with subtitles as well as the English dub of the film. Each will be available on separate days of the engagement, beginning first with the subtitled version. Tickets are available beginning today and can be pre-purchased via the official movie website at funimationfilms.com/ghostintheshell. Viewed as ahead of its time when it premiered in 1995, “Ghost in The Shell” quickly turned into a pop culture phenomenon and the inspiration for future mainstream movies. The movie became the first anime film to rank #1 on Billboard in video sales, which currently total more than 1.5 million copies across the franchise. With the release of “Ghost in the Shell: The New Movie” in 2016 and a new live action version of “Ghost in the Shell” set to release at the end of March, there has been a huge resurgence in fan interest for the franchise worldwide. Lionsgate will be releasing a new, deluxe collector’s edition of the remastered original on Blu-Ray with Digital HD. This new edition will feature steelbook packaging and Mondo artwork and will be available in retail outlets beginning March 7, 2017. 2029 – A female cybernetic government agent, Major Motoko Kusanagi, and the Internal Bureau of Investigations are hot on the trail of “The Puppet Master,” a mysterious and threatening computer virus capable of infiltrating human hosts. Together, with her fellow agents from Section 9, they embark on a high-tech race against time to capture the omnipresent entity. Funimation Films, the theatrical division of Funimation Entertainment, acquires both anime and live action movies from prominent international filmmakers that appeal to the interests and passion of all types of fans and distributes them throughout North America. The division was launched in December 2014 following the box office success of “Dragon Ball Z: Battle of Gods” that same year. Funimation Films released “Dragon Ball Z: Resurrection ‘F’” a year later and which became #9 highest-grossing anime movie in North America. Funimation Entertainment is a subsidiary of Group 1200 Media, a fully integrated, next-generation, independent entertainment studio based in Dallas. 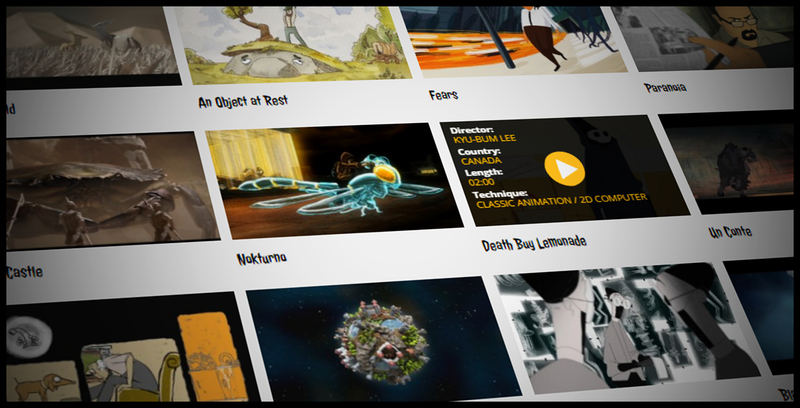 For more information on Funimation Films, visit funimationfilms.com. Lionsgate (NYSE: LGF.A, LGF.B) is a vertically integrated next generation global content leader with a diversified presence in motion picture production and distribution, television programming and syndication, premium pay television networks, home entertainment, global distribution and sales, interactive ventures and games and location-based entertainment. With the acquisition of Starz, Lionsgate adds to its portfolio of businesses the flagship STARZ premium pay network serving nearly 25 million subscribers and the STARZ ENCORE platform with over 31 million subscribers. The combined company will operate five over-the-top (OTT) streaming services and the Starz app delivering content directly to consumers. The Company’s feature film business spans eight labels and includes the blockbuster Hunger Games franchise, the Now You See Me and John Wickseries, the Golden Globe-nominated La La Land, Hacksaw Ridge and Hell or High Water (in partnership with CBS Films), Tyler Perry’s Boo! A Madea Halloween, Roadside Attractions’ critically-acclaimed Manchester by the Sea, Codeblack Films’concert film Kevin Hart: Let Me Explain and Pantelion Films’ Instructions Not Included, the highest-grossing Spanish-language film ever released in the U.S.
One of the largest independent television businesses in the world, Lionsgate’s slate of premium quality series encompasses nearly 90 shows on more than 40 different networks. These include the ground-breaking Orange is the New Black, the fan favorite Nashville, the syndication success The Wendy Williams Show, the acclaimed drama The Royals, the acclaimed Casual, the breakout success Greenleaf and hit Starz series including Outlander, Black Sails, Survivor’s Remorse and Power, the second highest-rated premium pay television series of 2016. By Mike November 14, 2016 November 13, 2016 Promote Yourself! By Mike May 25, 2016 May 25, 2016 Press Release, Promote Yourself! 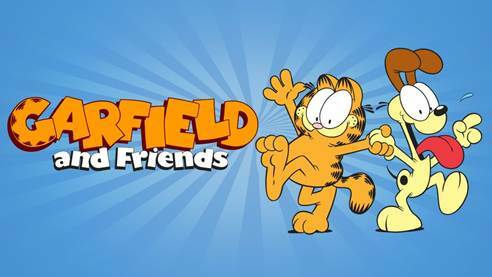 Toronto, Canada – May 25, 2016 – 9 Story Media Group announced today that it has acquired Garfield and Friends, the classic animated series from Mendelson/Paws Productions. The deal includes the fullGarfield and Friends library, which consists of seven seasons (121 x 30’) along with twelve specials and two direct to video titles. 9 Story has secured exclusive worldwide rights across all languages and platforms and plans to remaster the classic content to an HD format. Produced from 1988-1995, Garfield and Friends is based on the iconic Garfield comic strip created by Jim Davis. Syndicated in 80 countries and translated into 42 languages, 220 million people read the comic strip each day. The Garfield brand boasts 400 licensees across 5,000 products and has earned over 17 million fans on Facebook. GARFIELD was born on the comics pages on June 19, 1978. The creation of cartoonist Jim Davis, GARFIELD is a humorous strip centered on the lives of a quick-witted orange cat who loves lasagna, coffee, and his remote control; Jon Arbuckle, his owner; and Odie, a sweet but dumb dog. GARFIELD was introduced to the world in just 41 newspapers and is now the most widely syndicated comic strip ever, appearing in 2100 newspapers. The strip, distributed by Universal Press, is read by over 220 million people each day and is translated into 42 languages. The success of the comic strip spawned an entertainment empire including television: Garfield and Friends, The Garfield Show, and a dozen primetime specials; movies: Garfield: The Movie and Garfield: A Tail of Two Kitties; hundreds of best-selling books, and thousands of licensed products. Garfield has long been considered an evergreen property because he has not only endured, but continues to be fresh and funny after 38 years in the limelight.